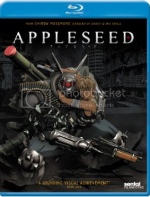 Bringing the classic 80′s manga into the world of CGI animation, Appleseed tells the story of Deunan Knute, a tough chick and veteran war hero in the post apocalyptic cyber-future world of 2131. While in the middle of an epic battle against many big machines, Knute is sedated and taken away to the utopian society of Olympus, where humans and human clones live together in peace. As it turns out, the war is actually over, and she is asked to join Olympus as the protector of their city. But of course, just like any utopian society, something goes horribly, horribly wrong. A terrorist organization wipes out the facilities needed to keep the clones alive, and the only thing that can save them is the Appleseed, a bit of data created by Knute’s late mother. But as Knute dives deeper into the search of the this critical piece of information, she uncovers that the conspiracy runs far deeper than anyone had anticipated. Many powerful enemies stand between her and the survival of the artificial species. Fans may have remember that the movie was originally released in the US by Geneon Entertainment in 2005. However, the company did not last much longer after that and the film’s sequel, Appleseed Ex Machina, was later released by Warner Brothers with a completely new dub cast. Well now Sentai / Section 23 has rescued the original movie, and they redubbed it with the Ex Machina cast for better consistency between the two films. 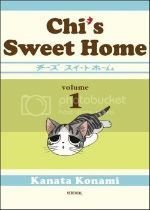 And for the first time ever, they’re releasing the computer generated anime film on Blu-ray disc. And oh god, does it look freaking sweet! 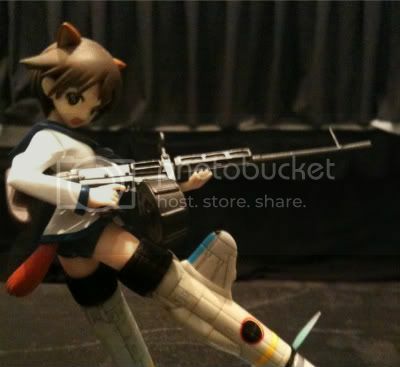 BIGGEST SURPRISE OF THE CON: I bought this figure!